We are a family run practice, run by David and Shirley Norrington, which has been running for many years. Together with our dedicated and highly trained team of vets and nurses, we provide the highest standard of care in our two centre based practice, caring for all the towns and villages around Ayrshire and the south of Glasgow. As a husband and wife team we have 40 years combined of veterinary experience. Running a veterinary practice has been a lifelong dream for both of us and we love getting to know our clients and our patients, building a relationship which allows us to provide personal care for the lifetime of your pet. 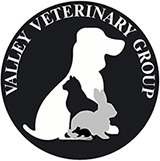 We strive to provide the most up to date, gold standard treatment for your pet, whilst still maintaining traditional values of veterinary practice at a realistic price. We treat each pet in the same way we would treat our own. All our staff are true animal lovers and our profession is a true vocation. It is very important to us that we build a relationship with our clients and provide a personal service. We understand that your pet is a member of your family and what a stressful time it is when they are unwell, so we always try and do everything we can to help. Our staff don’t just see the work they do as just a job – they are passionate about what they do and always have the patients best interests at heart. We provide our own inpatient care, seven days a week. This means that we have immediate access to your pet’s records, and if your pet is admitted into our care during our opening times our own vets and nurses will keep providing their treatment during closed periods. We are an RCVS accredited practice which means we have passed rigorous and in-depth inspections to ensure we meet the highest standards in terms of hygiene, patient care, facilities, inpatient service, staff training, equipment, client education and information. The RCVS make sure that we are dedicated to keeping abreast of the latest developments and treatments in modern veterinary practice.